You guys, this Korean BBQ Sauce is going to blow. your mind!! It’s SO flavourful with the perfect balance of sweet and spicy, thanks to the dates and gochujang used in this recipe. YEP thats right, this BBQ sauce is sweetened with dates! No refined sugar used here. Oh, and yes it does still come out sticky and delicious, just like the store bought ones. There are so many things I LOVE about this sauce. First, lets talk ingredients. You only need 7 ingredients and you probably already have most of them at home! This sauce is also SO easy to make. Blend and thicken, thats pretty much it. It lasts in the fridge for a pretty good amount of time too. I use this sauce on like, everything. In stir-frys, baked tofu, baked cauliflower, baked tempeh, buddha bowls and my most often made: Pulled Jackfruit Korean BBQ bowls! This sauce has slowly become a staple in my household. 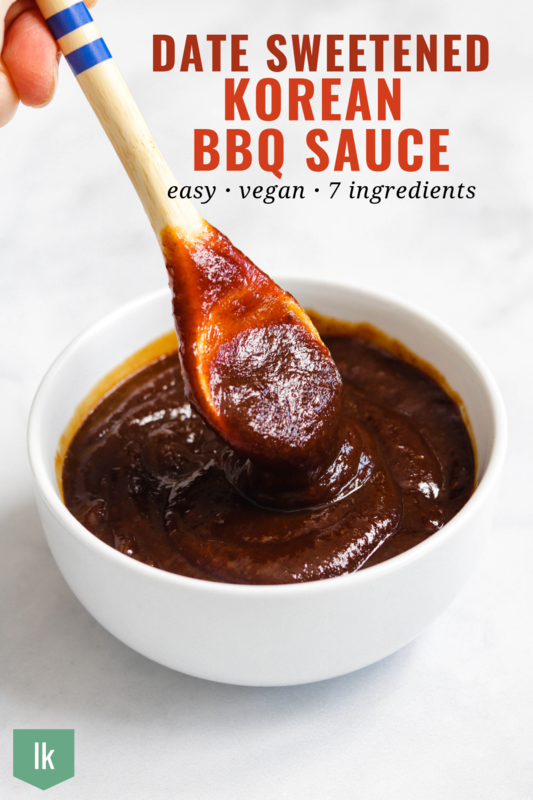 My dad and boyfriend gave it the nod of approval, so I hope you’re convinced on trying this Korean BBQ Sauce out! I highly recommend using fresh dates or dates that are VERY soft and blend-able. A high speed blender will definitely help with this. You can also try straining the blended mixture if you like your BBQ sauce completely smooth. This Korean BBQ sauce should be a similar texture to the ones you buy in jars, not too runny but not too thick. If you find your sauce is too runny, add 1/2 tsp more of corn starch. Add sesame seeds, sesame oil or green onions for more flavour. 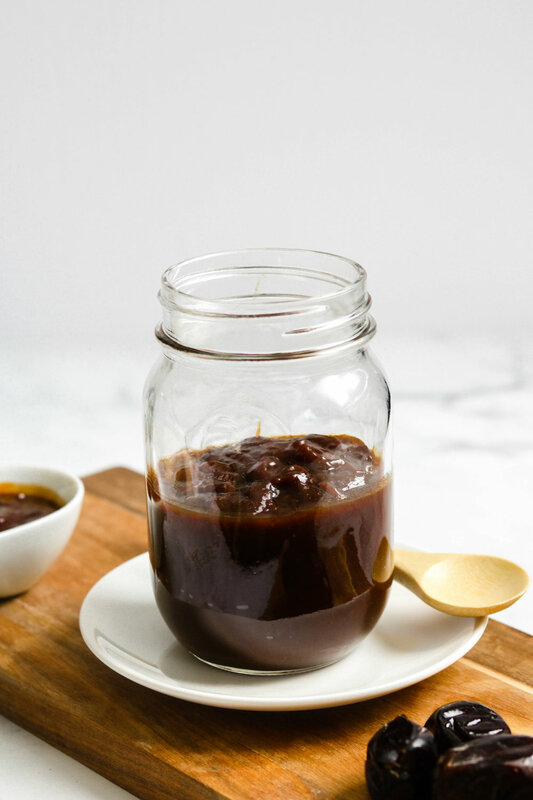 If you recreate this Korean BBQ Sauce please share it and let me know what you think by tagging me on Instagram @lisakitahara, I love seeing all of your tasty recreations! Add all ingredients into a blender except corn starch + water slurry until smooth. Add the mixturre into a sauce pan over medium high heat and allow it to come to a boil. Once it begins to boil, reduce the temperature down to medium low and add in the corn starch slurry. Whisk quickly until it thickens. Remove from heat and allow the sauce to cool. Transfer into an airtight jar and store in the fridge for up to 10 days. *chili paste OR sriracha can be substituted in a pinch.